How to skip page counting on blank pages created automatically by openright option? I have tried two solutions , , but none works for me. Let's say page 9 is the last page of chapter 1 and page 10 is a blank page. The chapter 2 is starting with page 11 on the right currently which is correct except for the page number which should be 10. I want to modify the page numbers only and not to remove the blank page or change the openright. Hope that it's clear now. You can probably do this to change the parity of all the pagestyle related things, but I don't think I would ever do this. Not the answer you're looking for? Browse other questions tagged page-numbering double-sided or ask your own question. How to remove page number at the first page and the blank page of each chapter? 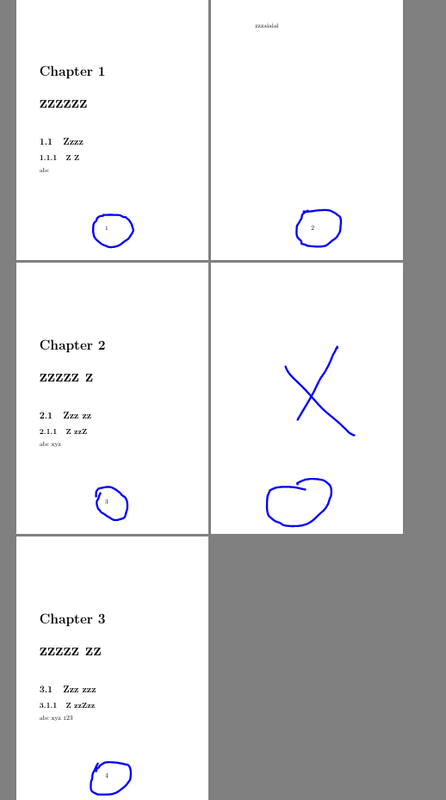 How can I remove page numbers for the first two (blank) pages for a LyX-based book?